Brands like Nike, Starbucks, and Apple all have logos that many marketers would consider the "best of the best" because of how successful they have proven to be. These logos can stand alone with no text or surrounding details and still instantaneously capture the attention of users and give them the full understanding of what company products they're looking at. Keeping your logo simple is essential. If you have too much for the user's eye to focus on with the logo, it's harder for both potential and existing customers to recognize it. Too many flashy elements in a design can be distracting and take away from the core objective of the logo itself--to serve as a representation of your brand. Whether you're creating a new logo for a new company, or redesigning a logo that is outdated, at its core, a logo is intended to symbolize your brand, so it's best to keep them visually appealing while still using a clean design. A good rule of thumb is to make sure that all logos appear as they should with a duo-tone, which is black on a white background. When you're in the process of a new logo design or are redesigning an existing logo, you should always think about where the logo will be used and how it will appear. From business cards, to poster boards, to onsite elements, it's important to think about how your logo will appear both online and offline. 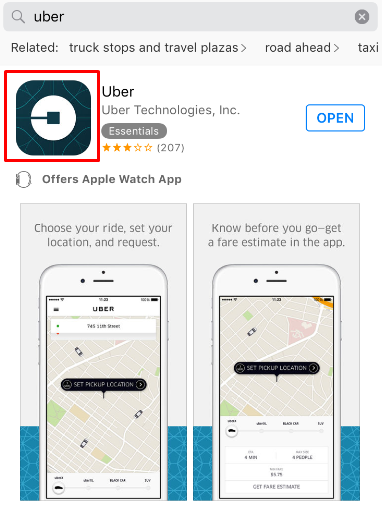 Uber recently redesigned their logo to more accurately depict the "story" of their brand. Since most of their customers use the app from their smartphones, it's likely that the brand had to primarily focus on how the logo would appear on an app icon and on a small screen. Failing to consider the future use of your logo can result in a lot of difficulties down the road. If your logo could eventually be placed on the side of delivery trucks, on large billboards, or on small business cards, it's key that you consider how the design will appear on all of these platforms and pieces of collateral. Something that looks good on a business card might not render well when placed on a large billboard, so always think about how your logo will render on a variety of platforms before selecting a final design. 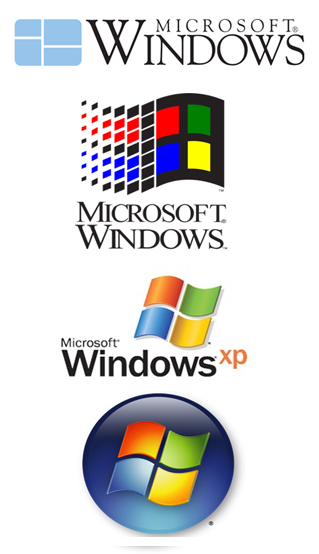 Unfortunately, even the best logos don't last forever. In order to stay up-to-date and timely, it's important to consider small tweaks to make your logo current. That being said, if your logo has been successful in the past, it's not always the best choice to do a significantly drastic shift from the design you have already been using. Sometimes a simple change of type face or using a cleaner icon can do a lot to make a logo more fitting with the times. If you're seeking a new logo for your company or are going through a time where you're rebranding your organization, focus on trying to find a balance. If you're working with the right team of designers and brand marketers you can find a happy medium between the existing logo vs. an updated design that evokes a new look and feel. Recently, Marriott hotels shifted their well-known logo design to something a bit more up-to-date. This logo redesign is a great example of finding a balance between a new and old look. They kept the style of their iconic "M" but made the rest of the text black as opposed to the traditional red. The clean design is not a drastic shift from their old logo, but still has a modernized feel to it. As discussed above, sometimes after a period of time, your logo design is overdue for an update. That being said, when you change your logo, you don't want it to be due to a massive need for a change because of a completely outdated look. A general guideline to stick to with redesigning your logo is to avoid anything that is trendy because it won't last forever. Too often brands choose a design that has a trendy look and feel, and this can be a costly mistake. If you select a design that is timely and not something with longevity, it's not likely to stay current, it might not be fitting with your brand values, and there is also a good chance that a lot of other brands have a similar design. Even if you're not going through a redesign and are starting a new company that needs its first logo, it's best to go with a timeless and clean design. This isn't to say that you don't need a modern look and feel for your logo, however you shouldn't be including design elements that are simply the trend of the year. At our agency, Blue Fountain Media, our logo is simple yet effective at conveying our message. The color scheme is fitting with our entire branding strategy and our tag line "your partner for digital growth" is a way to share our value with potential customers. While this is a modern-looking logo, it isn't based on trends that are popular one day and outdated the next, it's a classic design. Lastly, when you're beginning the logo design process, it's essential that you take the necessary steps to ensure that you're crafting a design that has the potential to effectively drive brand recognition for your company. At our agency, our logo design process begins with a kickoff meeting to better understand the objective of your branding project. Next, we conduct a "logo exploratory" where we pull together a variety of different logos for brands across all industries to share with the company we are working with. The goal of this phase is to garner some reactions and develop a deeper understanding of what designs spark the most interest and capture the most attention. 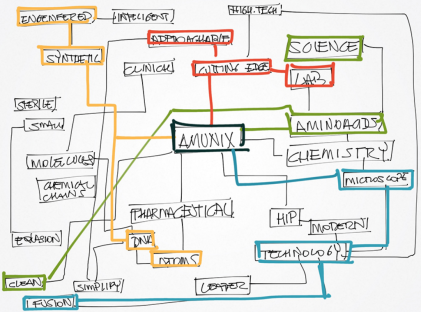 From this point, we begin researching and conceptualizing the logo design based on our findings thus far. We create "word clouds" so that we can understand what the logo should embody, and conduct research to identify what these key phrases and words look like for the average user. From there, the designs begin. Once we have a few designs, we'll go through several rounds of revisions and ask other experts at our company for another set of eyes and second opinions. We always look at the logo design in black and white first, so that decisions aren't made simply based on color scheme. After a design has been selected as a favorite, then we can incorporate color, but the design itself has to first be chosen without a bias towards color choice. Whether you're launching a new company and need a symbolic icon to represent your brand, or if you're a company that has been in your respective industry for years, a strong logo design is essential. Finding a balance between a logo that adequately highlights the value your company offers, while still being visually appealing can be difficult, but with the right talent, it can certainly be accomplished. Considering a logo redesign? To learn more, visit Blue Fountain Media online.